Welcome to ‘Chicagoland’- the largest city in Illinois and the most populated metro in the official Midwestern United States. Chicago, the home of the infamous beginnings of Route 66 – is also surrounded by some of the most innovative, unique and worthwhile places to host your next event. While you certainly will want to experience the beloved and well known Chicago-style pizza and hot dogs, event planners won’t want to bypass these opportune locations for events. 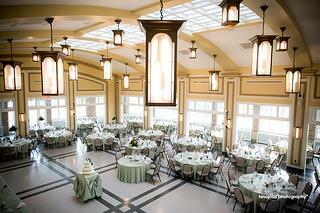 60 miles south of Chicago, event planners can find themselves in Morris, Illinois. While not large in population (home of just over 13,000 residents), Morris is home to several unique and beautiful event venues for ‘outside the box’ thinking event planners. 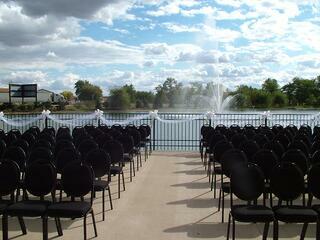 For events and conferences of all sizes from 10 to 1,500 attendees Jennifer’s Garden is a beautiful and unique venue. Located roughly 95 miles from the heart of downtown Chicago, you’ve entered a central hub of Wisconsin – Milwaukee. Known for its famous breweries and the major league baseball team, the Milwaukee Brewers. Yet saving the brew and ball games for after your event, Milwaukee is home to multiple venues for hosting your next event. With unique venues for events of all sizes and styles, such as the Harley-Davidson Museum, the Potawatomi Hotel & Casino or the plethora of large full service hotels, Milwaukee truly is a great spot for event planners to host their next event. Head east just 45 minutes (25 miles) and event professionals will find themselves in Gary, Indiana. Birthplace of pop legend, Michael Jackson, Gary IN is Chicago’s urban neighbor to the east. Perhaps not the most glorious of towns due with its incremental decline in population, if you’re looking for a relatively frugal option without giving up space – Gary has multiple solutions. The Genesis Convention Center which can hold up to 7,000 people for less than $3k and the smaller but even more beautiful Marquette Park Pavilion both provide frugal and unique options for hosting your next event. Just a stone’s throw away from downtown Chicago, event professionals can be seen cheering for the Northwestern University wildcats. Known for the intentional effort for ditching cars – this metro suburb of Chicago, has everything an event planner could want for an event – all within walking distance of each other – making it easy for event attendees. Unique venues include 'Found', and the Crystal as well as the Hilton conference centre. 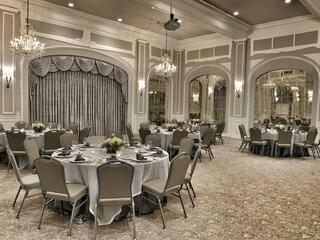 The Chicago metro area provides several unique and worthwhile locations nearby, ready to host your next event. 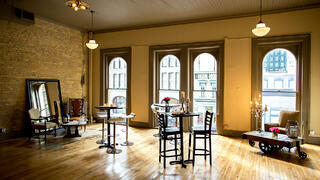 Consider utilizing one of these Chicago metro locations when planning your next event. Thinking outside the box can make this unique and easy to travel to area the perfect spot for hosting events of any size. MeetingPlay's leading live event engagement technology and mobile event apps helps events and event professionals before the event, during the event, and after the event.